This course will give you all the skills an employer would expect. 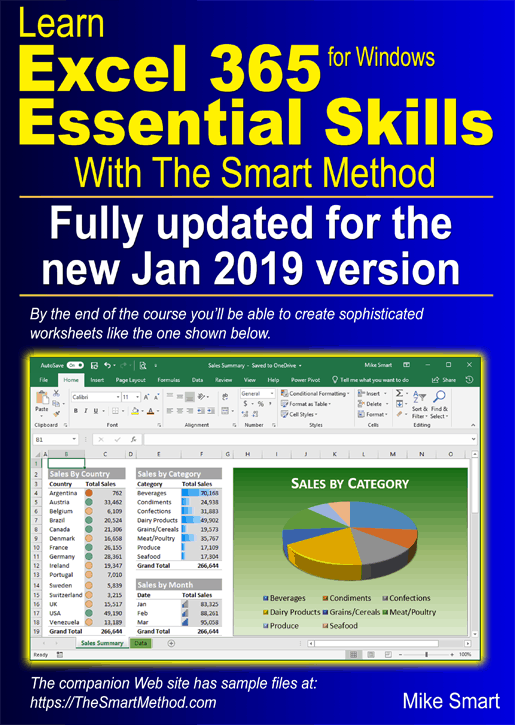 By the end of the Essential Skills course your Excel skills will be better than most office workers. Also available for Excel 2007, Excel 2010, Excel 2013, Excel 2016, Excel 2019, Excel 2016 for Apple Mac, and Excel 2019 for Apple Mac as both printed books and e-books.